In terms of design, the Hot Wheels expansion is quite similar to the previous one, Blizzard Mountain. There are three medals to be won per competition. By collecting them you unlock more content to make your way to the final. To have all three medals, you must of course finish first but also accomplish certain goals at the same time. Other recurring activities like the challenge of the cascades and the hidden cars are dotted on the new island. Many hours of action await you. 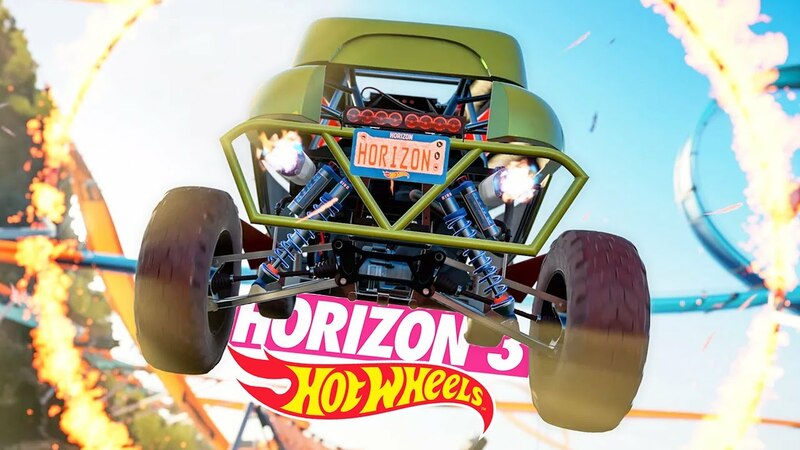 Combined with the core game and old extensions, Hot Wheels allows Forza Horizon 3 to become one of the longest and most comprehensive racing games ever seen. The Horizon Blueprint mode brings even more entertainment, such as ramps. However, it is only the overall structure that is similar. Hot Wheels Island is covered with orange tracks where races are held. We always deal with Forza Horizon (the game is always recognizable) but, on the other hand, a little learning is necessary to adapt. For example, if you find yourself in the middle of a loop, you will have to pay more attention to the drift for the car. Anticipating how the car will react for certain movements is essential, since the action will be different than on the more conventional tracks. Turbo is now available, acceleration being necessary to cope with the imaginative design of the tracks. The high-speed printing is unrivaled and amplified by these narrow and winding tracks. Ten new cars are included with the extension, a happy mix of speed monster that we have already seen previously as 2011 Hot Wheels Bone Shaker, 2012 Hot Wheels Rip Rod, 2005 Hot Wheels Ford Mustang, 2016 Jeep Trailcat, 2016 Zenvo ST1, 2007 Toyota Hilux Arctic Trucks AT38, 2010 Pagani Zonda R, and 1972 Chrysler VH Valiant Charger R / T E49. The number of super cars is currently very high in Forza Horizon 3, so it seems impossible for us not to find shoes at his foot and for every possible situation of the game. The graphics are also magnificent, bright colors creating a beautiful contrast with the beautiful realistic island. To watch the game is to feel like playing it. Forza is always glowing beauty. Hot Wheels' detailed cars are fun for the eyes when you walk around the garage, shining steel, admiring saliva flowing on your chin until someone tells you to stop. 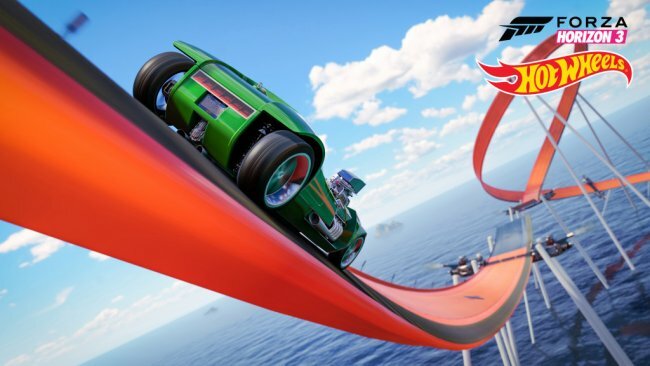 Forza Horizon 3: Hot Wheels is a fun addition to one of the best arcade racing games. It is lighter than the rest of the game and, despite our initial skepticism, is very successful in completing the gaming experience. Throwing your car into a loop and going out at full speed is just as fun first as in the one- For the first time. We would have liked to see more features directly affecting the game mechanics to justify the price of the game. 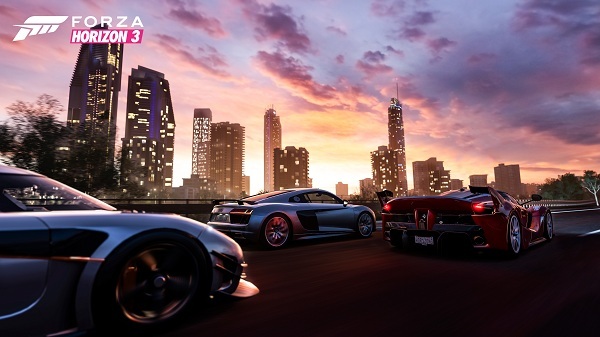 However, if you already own Forza Horizon 3, you will appreciate it even more with this DLC.